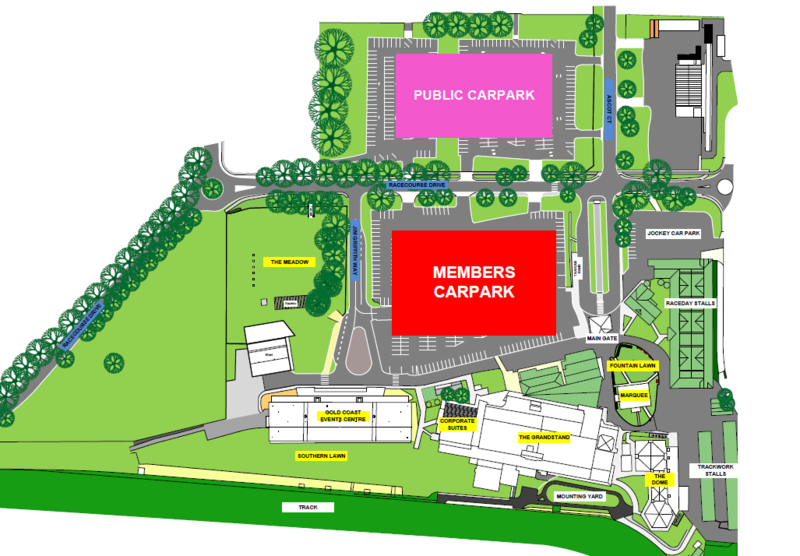 As you know, the members’ car park will be occupied by the Gold Coast 2018 Commonwealth Games from the 17th of March until the 14th of April. For all parking information please see the map below. If you require additional assistance please contact the club prior to the race day. The Gold Coast Turf Club is pleased to provide it’s patrons with a FREE courtesy bus on our weekend racedays, unless otherwise advised. It travels from/to Tweed Heads through to Surfers Paradise (and all stops in between). We also now offer an additional courtesy bus on weekend racedays, that services Runaway Bay, Harbourtown and Southport.. The returning Courtesy Bus will depart from Gold Coast Turf Club 15 minutes after the last local race or last metropolitan race, depending upon which finishes last (excluding WA).